* Senior club appearances and goals counted for the domestic league only and correct as of 4 May 2015. Mark Schwarzer OAM (born 6 October 1972) is an Australian professional footballer who plays as a goalkeeper, most recently for English club Leicester City. He represented Australia at international level from 1993 to 2013, and was selected for both the 2006 and 2010 World Cups. Having progressed through the youth ranks of Colo Cougars, Penrith, Blacktown Association and Marconi Stallions, he turned professional for National Soccer League side Marconi Stallions in 1990. After making 58 appearances for the club, he moved to Bundesliga side Dynamo Dresden in 1994, appearing twice, and then to Bundesliga side 1. FC Kaiserslautern in 1995, appearing four times. Schwarzer joined then second tier side Bradford City in 1996, and made sixteen appearances before joining Premier League side Middlesbrough in February 1997. He made 445 appearances for Middlesbrough, but decided to leave the club in May 2008. He then switched to Premier League side Fulham, and made 218 appearances for the club until he moved to Chelsea in 2013. He was the first, and, to date, only non-Briton to have made more than 500 Premier League appearances, and also the oldest player to have played in the knockout stages of the UEFA Champions League. He joined Leicester City on a free transfer in January 2015 and left the club at the end of the 2015–16 season. Having played for Australia at under-17 and under-20 level, Schwarzer made his full international debut in a FIFA World Cup qualifying match against Canada in 1993 as a substitute after Robert Zabica was sent off in the 17th minute. During the course of his international career, he won a total of 109 caps for his country. He became Australia's most capped player when he surpassed Alex Tobin's appearance record in January 2011. Schwarzer was born in North Richmond, a semi-rural suburb in north-western Sydney, and attended Richmond North Public School and Colo High School. He played for the local soccer (football) club the Colo Cougars. His German parents, Hans-Joachim and Doris emigrated to Australia from Germany in 1968. He speaks German. In 2009, Schwarzer was awarded the Medal of the Order of Australia. Schwarzer's first club was Colo Cougars in Richmond, New South Wales. He started his professional career at the age of 19 with Marconi Stallions, in the National Soccer League. He left the Sydney-based club to play in Germany in 1994, with Dynamo Dresden and FC Kaiserslautern. He then travelled to England to play for Bradford City in 1996, where he eventually joined Middlesbrough in February 1997. Schwarzer made his debut for Middlesbrough against Stockport County in the League Cup semi-finals on 26 February 1997. He featured in the final against Leicester City, which ended as a 1–1 draw, but was injured for the replay. He also played in the 1998 League Cup final against Chelsea, but was unable to prevent Middlesbrough from slipping to a 2–0 defeat. He was part of the side, however, who beat Bolton Wanderers 2–1 to win the final six years later, despite making an error described by BBC Sport as a "howler" which allowed Kevin Davies a consolation goal for Bolton. In the last match of the 2004–05 season against Manchester City, he saved a Robbie Fowler penalty in stoppage time to preserve a 1–1 draw. The draw was sufficient to put Middlesbrough in seventh in the final league table and ensure qualification for the UEFA Cup; had Fowler converted the penalty, Manchester City would have qualified for the UEFA Cup at Middlesbrough's expense. Schwarzer was granted a transfer request by Middlesbrough on 6 January 2006 and sought to join a new club, but he withdrew his request on 20 January 2006, and rejoined the team. A fractured cheekbone sustained against West Ham United, however, looked like it had ruled Schwarzer out for the rest of the season, but he returned for the UEFA Cup final against Sevilla, albeit playing with a protective mask. When he played in Middlesbrough's 1–0 victory over Portsmouth on 29 December 2007, he became the Premier League's longest-serving foreigner at one club, beating Dennis Bergkamp's record of 315 games. His final Middlesbrough appearance came in an 8–1 victory over Manchester City on the final day of the 2007–08 Premier League season, after he had made 446 appearances in all competitions. Schwarzer's contract with Middlesbrough expired in June 2008, and although he was offered a new contract, manager Gareth Southgate had to plan a future with a new goalkeeper, as on 21 May 2008, Schwarzer signed a two-year deal at Fulham, ending an 11-year association with the Teesside club. Schwarzer revealed in an interview with The World Game that he had received offers from Bayern Munich and Juventus but declined their offers because they could not guarantee him the position as the number-one keeper. Schwarzer made his Fulham debut in a 2–1 defeat to newly promoted Premier League side Hull City, but he followed up by keeping a clean sheet in his next match in a 1–0 win at home to Arsenal and played every minute of the 2008–09 season. He kept ten clean sheets during the 2008–09 season in all competitions. Schwarzer's contribution was important as his performances lead Fulham to a seventh-place finish and a place in Europe for the next season, after the club had only just avoided relegation during the 2007–08 season. He received the Fulham Player of the Year 2008–09 in his first year at the club. He was also named the Premier League's Player of the Month for February 2010, in which he only conceded one goal in his team's two wins and two draws that month, making him the first Australian to do so. He played an important role in Fulham reaching the Europa League Final in 2010, but Schwarzer lost his second European final with a narrow defeat to Atlético Madrid of Spain. Following his performances during the 2009–10 season, Arsenal manager Arsène Wenger attempted to sign Schwarzer. It was reported that a bid of around £2 million in May 2010 had been made for Schwarzer and a second bid of around the same value had been made in August 2010; however both were rejected by Fulham. On 13 August 2010, Fulham manager Mark Hughes revealed that Schwarzer had handed in a transfer request, which Hughes had rejected. On 31 August 2010, it was reported that Arsenal had made a last-ditch bid of around £4 million to bring Schwarzer to the Emirates Stadium before the transfer window closed; however, Hughes denied that any approach was made. Schwarzer signed a contract extension with Fulham on 18 January 2012, committing himself to the club until at least the summer of 2013. Schwarzer made a notable injury-time penalty save against Mikel Arteta in January 2013 to help Fulham earn a 3–3 draw against Arsenal. In April 2013, he made his 500th Premier League appearance in a game against Arsenal, and became the first non-British or Irish player to do so in the process. On 5 June 2013, Schwarzer announced he was leaving Fulham following arrival of Maarten Stekelenburg. He said, "I've been hearing that for a while," he said of Stekelenburg's arrival. "It's no great surprise and I'll be looking for another club." Schwarzer was one of twelve players released by Fulham at the end of the 2012–13 Premier League season. On 9 July 2013, Schwarzer signed a one-year contract with Fulham's West London rivals Chelsea on a free transfer. He has been quoted saying "It's one of the biggest and best clubs in the world, and it's an honour to sign for Chelsea. I didn't take much convincing to come here". He made his competitive debut in a 2–0 away victory over Swindon Town in the 2013–14 Football League Cup. In Schwarzer's second appearance in a Chelsea shirt, he kept another clean sheet, as Chelsea knocked Arsenal out of the League Cup in a 2–0 victory on 29 October. On 11 December, Schwarzer became the oldest player to debut in the UEFA Champions League, when he kept his third clean sheet in three appearances for Chelsea, in a 1–0 victory over Steaua București, a result that confirmed Chelsea's progression to the knockout round as first in their group. Schwarzer became the oldest player to represent Chelsea in the Premier League when he played against Sunderland on 19 April 2014, aged 41 years and 195 days old. He became the club's oldest ever player by some margin, overtaking Graham Rix, whom last played for Chelsea at the age of 37 years and 203 days. On 22 April, he replaced the injured Petr Čech in the first half of a Champions League semi-final against Atlético Madrid, and kept the score at 0–0. On 27 April he started against Liverpool at Anfield, a crucial game for Chelsea to stay in the title race. He kept a clean sheet and made some outstanding saves to deny Liverpool from equalising, with Chelsea winning the game 2–0. His clean sheet against Liverpool was his 150th Premier League clean sheet, a feat only two other goalkeepers have achieved so far, those goalkeepers being Cech and David James. Schwarzer was included on the list of players released by Chelsea at the end of the season, but he eventually signed a new one-year contract with the club, on 30 June 2014. Although Schwarzer did not make a single league appearances before his move to Leicester City F.C., José Mourinho stated that he would receive a replica winner's medal for his contributions that season and was welcomed back for a celebration dinner at the end of the season. On 6 January 2015, Schwarzer moved to Premier League side Leicester City on a free transfer as cover for the injured Kasper Schmeichel, after signing an 18-month deal. Chelsea's manager José Mourinho praised Schwarzer's contribution to his former club, and stated that Chelsea would miss him. He made his competitive debut for Leicester on 24 January in a 2–1 away win over Tottenham Hotspur in the fourth round of the season's FA Cup, becoming Leicester's oldest ever player in doing so. He made his Premier League debut for Leicester one week later in a 3–1 loss to Manchester United at Old Trafford. Signed as back-up to Kasper Schmeichel, he made eight appearances in his first season at the King Power Stadium, of which six were in their successful campaign to avoid relegation from the Premier League. Schwarzer made no league appearances in the 2015–16 Premier League season, when Leicester became champions, making him ineligible for a winner's medal (minimum five league games required). In spite of this he still became the first player since Eric Cantona to win consecutive championships for different clubs. Schwarzer was released from Leicester City after the end of 2015-16 season. 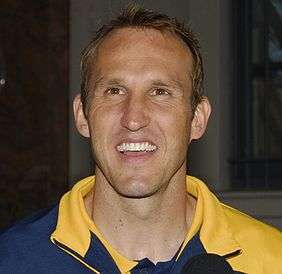 Schwarzer made his international debut for Australia against Canada in Edmonton in a 1994 World Cup qualifier in 1993. He came on as a substitute for Milan Blagojevic after first-choice Robert Zabica was sent off 17 minutes into the match. In the return leg in Sydney, he made headlines when he saved two penalties to send Australia to the final phase of qualifying against Argentina. Schwarzer did not play in these matches, and Australia were defeated 2–1 on aggregate. He was instrumental in Australia's qualification for the 2006 FIFA World Cup, in the play-off against Uruguay. After Uruguay won the first leg 1–0 in Montevideo, Australia won 1–0 in Sydney on 16 November 2005. In the penalty shoot-out, Schwarzer saved two penalties to see Australia victorious 4–2. At the World Cup Finals, he played the first two games in Australia's group matches, conceding a controversial goal against Japan, and two goals against Brazil. In the third match, he was replaced by Željko Kalac, but after Kalac's disappointing performance, he was reinstated for the Round of 16 match against Italy. Although he correctly predicted the direction of the penalty kick, he was unable to save the penalty in that match, which was scored by Francesco Totti in injury time and sent Australia out of the World Cup. 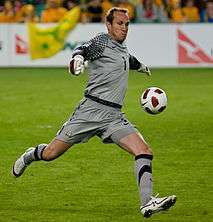 Schwarzer played in all of Australia's matches in the 2007 AFC Asian Cup. Although he made two good saves in the opening match against Oman, which finished as a 1–1 draw, he made an error which led to a goal in the 3–1 loss to Iraq. In the quarter-final, he could not match Japanese goalkeeper Yoshikatsu Kawaguchi during the penalty shootout, which saw the Socceroos get knocked out of the competition in their début at the tournament. Schwarzer said that the penalty shootout in the Asian Cup quarter-finals was the first penalty shoot-out in his career that he had ever lost. Schwarzer saved an 89th-minute Shao Jiayi penalty against China in Australia's 0–0 draw in the 2010 World Cup qualifier in March 2008, continuing his record of stopping penalty kicks. He received his second yellow card of the campaign against Qatar in Doha, in which Australia were 3–1 winners, leading to him being suspended for the following match against China. Schwarzer made several vital saves to secure Australia's Asian Cup Qualifier 2–1 comeback win over Oman in Muscat after conceding from his penalty save rebound. He was the country's first-choice keeper for all three matches of the Group Stage in the 2010 World Cup in a group composed of Australia, Germany, Ghana, and Serbia. In the first match, Australia were crushed 4–0 by the Germans, but they recovered with a 1–1 draw against Ghana in the next game. In the final match, Australia beat Serbia 2–1, thus finishing third in the group with four points, just missing out on qualification to the Round of 16 on goal difference with Ghana. After the tournament, Schwarzer declared his interest in playing at the 2014 FIFA World Cup, at which time he would be 41 years old. However, on 5 November 2013, he announced his retirement from international football. As of 23 September 2015. As of match played 8 September 2013. 1 2 Hugman, Barry J., ed. (2010). The PFA Footballers' Who's Who 2010–11. Mainstream Publishing. p. 372. ISBN 978-1-84596-601-0. ↑ "Mark Schwarzer EPL: Aussie goalkeeper to leave Chelsea for Leicester City". Fox Sports. ↑ "Canada v Australia, 31 July 1993". ↑ "The World Cup dream – Mark Schwarzer's Family". migrationheritage.nsw.gov.au. Retrieved 15 April 2008. 1 2 The Age (2009). Australia Day honours. Retrieved 26 January 2009. 1 2 "The World Cup Dream – Mark Schwarzer's family". Migration Heritage. Retrieved 6 January 2015. ↑ Mangnall, Valkerie (31 January 2009). "Goalkeeper Mark Schwarzer pads stand test of time". Herald Sun. Australia. 1 2 Gill, Damian (7 September 2012). "FACTBOX-Soccer-Australia goalkeeper Mark Schwarzer". Reuters. Retrieved 6 January 2015. 1 2 3 "On this day in 1997: Schwarzer makes Middlesbrough move". FA Premier League. 22 February 2014. Retrieved 6 January 2015. ↑ "Chelsea do it again". BBC News. 29 March 1998. Retrieved 6 January 2015. ↑ "Boro lift Carling Cup". BBC Sport. 29 February 2004. Retrieved 3 January 2015. 1 2 "Man City 1-1 Middlesbrough". BBC Sport. 15 May 2006. Retrieved 6 January 2015. ↑ Walker, Michael; Brodkin, Jon (7 January 2006). "Schwarzer transfer request prompted by Nuneaton axing". The Guardian. Retrieved 6 January 2015. ↑ "Schwarzer change of heart". The Guardian. 20 January 2006. Retrieved 6 January 2015. ↑ "Schwarzer suffers injury blow". AustralianTimes.co.uk. 25 April 2006. Retrieved 6 January 2015. ↑ Harrold, Michael (11 May 2006). "Sevilla run away with the trophy". UEFA. Retrieved 6 January 2015. ↑ "Mark Schwarzer nabs Premier League record". Herald Sun. Australia. 1 January 2008. Retrieved 1 April 2008. ↑ "Mark Schwarzer Exclusive". The World Game. 25 May 2008. Archived from the original on 27 July 2008. Retrieved 26 May 2008. ↑ "History of Fulham Football Club – 2009". Fulham F.C. Retrieved 6 January 2015. ↑ "History of Fulham Football Club – 2008". Fulham F.C. Retrieved 6 January 2015. 1 2 "Player of the season". Fulham Official Website. 19 June 2009. Retrieved 13 April 2014. ↑ Dawson, Alan (6 March 2010). "Fulham Pair Hodgson & Schwarzer Win Barclays Manager & Player of the Month". Goal.com. Retrieved 6 January 2015. ↑ "History of Fulham Football Club – 2010". Fulham F.C. Retrieved 6 January 2015. 1 2 3 "Arsenal make final bid for Fulham goalkeeper Mark Schwarzer". The Telegraph. 31 August 2010. Retrieved 6 January 2015. ↑ "Mark Schwarzer hands in transfer request to Fulham to force through Arsenal move". The Telegraph. 13 August 2010. Retrieved 6 January 2015. ↑ "Schwarzer Contract Extension". Fulham FC. Retrieved 18 January 2012. ↑ "Arsenal 3–3 Fulham". BBC. Retrieved 31 January 2013. ↑ Stanger, Matt (23 April 2013). "Premier League Numbers And Stats...". Football 365. Retrieved 6 January 2015. ↑ "Fulham confirm Schwarzer departure". Sportal. Retrieved 6 January 2015. ↑ "Mark Schwarzer to leave Fulham following arrival of Maarten Stekelenburg". Sky Sports. Retrieved 6 June 2013. ↑ "Summer transfer window: Ins and Outs". Premier League. Retrieved 7 June 2013. ↑ "Swindon 0-2 Chelsea: Mata and Luiz back as Blues progress". Goal.com. 24 September 2013. Retrieved 11 December 2013. ↑ Magowan, Alistair (29 October 2013). "Arsenal 0–2 Chelsea". BBC Sport. Retrieved 6 January 2015. ↑ "Mark Schwarzer makes successful Chelsea CL debut". Sydndey Morning Harold. 12 December 2013. Retrieved 12 December 2013. 1 2 FitzGibbon, Liam (20 April 2014). "Schwarzer makes history in Chelsea loss". The Sydney Morning Herald. Retrieved 6 January 2015. ↑ "Petr Cech injury: Chelsea forced to use Mark Schwarzer against Atletico Madrid, Liverpool lick their lips". Metro News. 22 April 2014. Retrieved 6 January 2015. 1 2 "Premier League: Goals from Demba Ba and Willian see Chelsea beat Liverpool 2-0". Sky Sports. 28 April 2014. Retrieved 6 January 2015. ↑ Tanner, Rob (6 January 2015). "Leicester City complete signing of Chelsea goalkeeper Mark Schwarzer". Leicester Mercury. Retrieved 6 January 2015. ↑ "Clubs submit retained and released lists". Premier League. 23 May 2014. Retrieved 23 May 2014. ↑ "New deal for Schwarzer". Chelseafc.com. 30 June 2014. Retrieved 19 July 2014. ↑ "Every Chelsea player to get a Premier League medal says Jose Mourinho". ↑ "Leicester City Sign Mark Schwarzer". Leicester City F.C. 6 January 2015. Retrieved 6 January 2015. ↑ "Chelsea goalkeeper Mark Schwarzer leaves for Leicester - Jose Mourinho says he will 'miss the big guy'". The Independent. 5 January 2015. Retrieved 6 January 2015. ↑ Theo Lee Ray (24 January 2015). "Leicester dump out Spurs to claim Fifth Round spot". 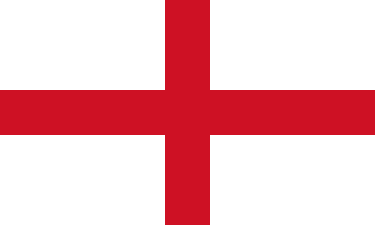 The Football Association. ↑ "Schwarzer in action as Manchester United downs Leicester". The World Game. 1 February 2015. ↑ Whaling, James (2016-05-04). "Revealed: Which Leicester City players will be given a Premier League medal". Daily Mirror. Retrieved 2016-05-21. ↑ Premier League (10 June 2016). "Retained and released lists submitted by Premier League clubs". PremierLeague.com. Retrieved 10 June 2016. ↑ "Australia vs. Canada Match Report". ozfootball.net. Retrieved 26 February 2007. ↑ Metcalf, Rupert (16 August 1993). "Overseas Football: Schwarzer a World Cup hero for Australia". The Independent. Retrieved 6 January 2015. ↑ "Socceroo Internationals for 1993". OzFootball.net. Retrieved 6 January 2015. 1 2 3 "Australia reach World Cup finals". BBC Sport. 16 November 2005. Retrieved 6 January 2015. ↑ "Australia 3-1 Japan – FIFA World Cup 2006". BBC Sport. 12 June 2006. Retrieved 6 January 2015. ↑ "Brazil 2-0 Australia – FIFA World Cup 2006". BBC Sport. 18 June 2006. Retrieved 6 January 2015. ↑ "Croatia 2-2 Australia – FIFA World Cup 2006". BBC Sport. 22 June 2006. Retrieved 6 January 2015. 1 2 "Italy 1-0 Australia – FIFA World Cup 2006". BBC Sport. 26 June 2006. Retrieved 6 January 2015. ↑ "Australia". Soccerway. Retrieved 6 January 2015. ↑ Lynch, Michael (9 July 2007). "Cahill averts catastrophe for Arnold". The Sydney Morning Herald. Retrieved 6 January 2015. ↑ Cockerill, Michael (14 July 2007). "Socceroos hang by a thread". The Sydney Morning Herald. Retrieved 6 January 2015. ↑ Smithies, Tom (27 March 2008). "Schwarzer: Ball just stuck in my legs". Herald Sun. Australia. Retrieved 28 March 2008. ↑ "Australia thrash Qatar to top group". FIFA.com. 14 June 2008. Retrieved 6 January 2015. ↑ "Mark Schwarzer's Top Five Socceroos Moments". Goal.com. 7 November 2013. Retrieved 6 January 2015. 1 2 3 "Mark Schwarzer". FIFA Player Statistics. Retrieved 6 January 2015. ↑ "Schwarzer: Qualification drives me". FIFA.com. 9 September 2012. Retrieved 12 November 2012. ↑ "Fulham keeper Mark Schwarzer wants to play for Australia in the 2014 World Cup". Goal.com. 12 February 2012. Retrieved 15 January 2013. ↑ "Schwarzer retires from Socceroos". SBS. Retrieved 6 November 2013. ↑ "Mark Schwarzer Career Stats". Soccerbase. 1 January 2010. Retrieved 1 January 2010. ↑ Mamrud, Roberto (29 February 2012). "Mark Schwarzer – International Appearances". Rec.Sport.Soccer Statistics Foundation. Retrieved 9 July 2013. ↑ "Mark Schwarzer". National Football Teams. Retrieved 13 March 2011. 1 2 "M. Schwarzer". Soccerway. Retrieved 31 July 2014. ↑ "Socceroo Internationals for 2004". ozfootball.net. Retrieved 31 July 2014. 1 2 "Schwarzer grabs the gongs". Sydney Morning Herald. 8 October 2010. Retrieved 8 October 2010. ↑ Ray Gatt. "Schwarzer claims inaugural FMA Award". Football Media Association Australia. Retrieved 8 October 2010. ↑ "Fulham pair Roy Hodgson and Mark Schwarzer win awards". BBC Sport. BBC Sport. 5 March 2010. Retrieved 5 March 2010. Wikimedia Commons has media related to Mark Schwarzer.